Congratulations to tour winner Donna G. and to host winner Andi's Middle Grade and Chapter Books. 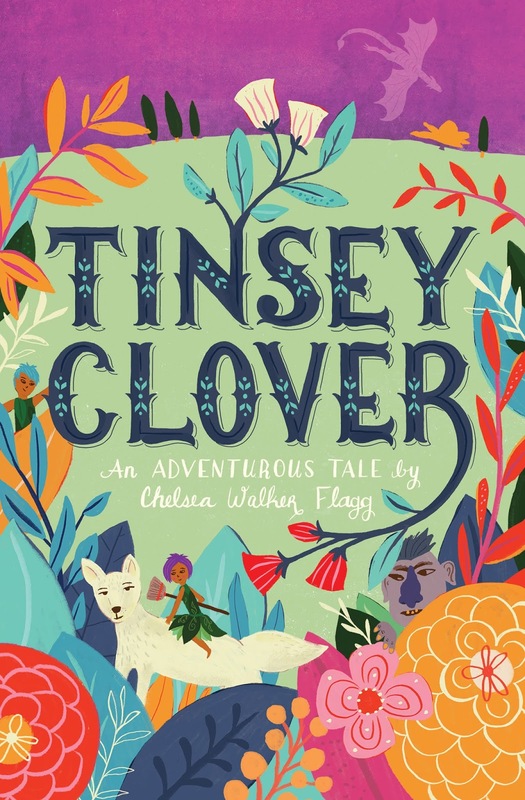 Goddess Fish Promotions is organizing a Virtual Book Tour for Tinsey Clover by Chelsea Walker Flagg, a middle grade book available now. The tour will run February 25 - March 8, and the author is available for guest post and interviews. A PDF, mobi, or epub copy of the book is available for review in conjunction with a guest post or interview. Chelsea Walker Flagg will be awarding $20 Amazon/BN GC to a randomly drawn winner via rafflecopter during the tour, and a $10 Amazon/BN GC to a randomly drawn host. Tinsey Clover is smart. She’s brave. Also, she can’t carry a tune to save her life. Oh yeah, plus she's an elf the size of a chipmunk. When her bizarre magical power grows in and makes her feel like a total outsider in her own village, Tinsey sneaks into the forbidden forest on a journey to find someone more like her. From trolls to dragons, what she discovers along the way challenges everything, and everyone, she thought she knew. A coming of age story for early middle grade fans of Sarah Mlynowski, Kate DiCamillo, and Chris Colfer.